Last week, Apple openly admitted that iPhone sales significantly underperformed in China during the fourth quarter of 2018. But according to a new report, the Cupertino giant performed quite well in the market during the previous quarter, at least in terms of revenue. As revealed by the report, third quarter smartphone sales in China generated a total of $30.7 billion in revenue. This figure is distributed primarily among five brands, although it is Apple and Huawei that take the biggest chunks of the pie with shares of 23% and 22% respectively. In the case of Apple, this positive performance was attributed to the release of the iPhone XS and XS Max towards the end of the quarter, as well as continued sales of the iPhone X and iPhone 8 models. 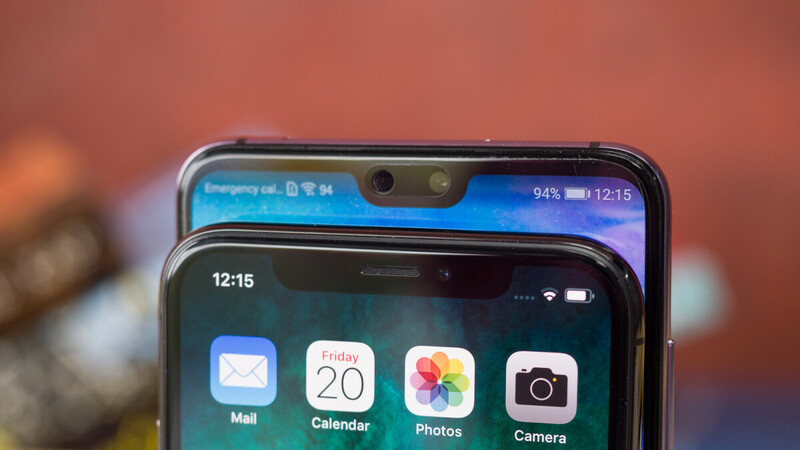 Huawei, on the other hand, saw an increased revenue stream thanks to the popularity of the Huawei P20 and P20 Pro, in addition to strong performance from Honor devices. In terms of volume, the aforementioned revenue number translated into 101 million shipments and, rather unsurprisingly, it was Huawei that led the pack with a 25% market share. Apple, however, was quite far down the chart. In fact, a weaker-than-expected impact from the iPhone XS and XS Max, as well as slowing iPhone X sales pulled the brand down into fifth place. Ahead of the company were Vivo, Oppo, and Xiaomi in second, third, and fourth place respectively. Other notable brands within the top 10 were Samsung and Nokia, which sat in 7th and 10th place respectively. Revenue figures for these two companies weren’t provided, but it’s worth noting that they were the only foreign brands aside from Apple to have any notable presence in China. As usual, apple rakes the profit. With Huawei nipping at their heels in terms of profit. Apple will need to step it up, or they will lose the top spot in profit to Huawei in China sooner rather than later. Why are apples high profits so important to you? You bring that up quite often. I think he thinks that if he keeps capping for them that they will eventually cut him a piece of those profits. He’s in for a big surprise with that thinking, lol. He's proud to spend more for the same components as everyone else. Why are Huawei market shares so important to you? You bring market shares around here a lot. Believe it or not Apple Fanboys tend to think that they get a slice of the profits even though the majority of them are not shareholders but are just customers who gain nothing. To them profit is like a feature as their devices lack features, its the only thing they can cling on to, along with iMessage. @Tsepz_GP How is that different from some celebrating market shares? Reality is profits/market shares means jack for the consumers and should not be celebrated by anyone but those companies workers or shareholders. But I see it being celebrated here by both sides. Some celebrate market shares to justify their chosen company while others do the same for Apple with profits. Calling out Apple supported users and not the other is hypocritical at its best. I did not say anything about Market Share. To me both Profit and Market Share mean nothing, they do not make my phone any better or worse. In fact I wish my chosen OEM would make a loss so that they push even harder in their next flagship. Profit for the company = their customers are fooled and pay more for less value. Good for Apple, bad for the customers. Just because they had the biggest profits doesn't make them better. McDonald's makes more then Wendy's but that doesn't make McDonald's better. Me, i like Wendy's better . A measly 1% more than Huawei is not even worth celebrating especially as Apple is on the decline. Turn the clock back a year ago and Apple was raking in most of the profits but now they're sinking. They didn't. BBK (Oppo and Vivo) raked in the most as usual and are the profit and sales leaders in China by a wide margin. No surprise that Huawei and other top Chinese brands were so dominant in China, market share wise. They are putting out some really good bang for your buck smartphones. The surprise to me was HMD at the 10th spot with their Nokia branded smartphones. They weren’t even in the picture at the beginning of the quarter. They’ve been steadily growing in their key markets, and this growth in the largest market for smartphones in the world, China, is impressive. Huawei is coming on strong even with out the US market.